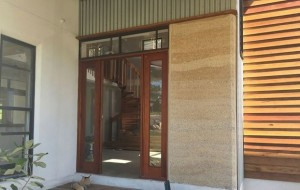 Hemp provides housing options using natural materials from the growing ecological market. Industrial hemp has been around for centuries and has many cost effective thermal, strength, fire resistant and acoustic benefits for building. And more so, it is healthy to breathe, and healthy for our planet. As you can see by the image above, Hemp housing looks like other contemporary homes, but with a number of benefits that far outweigh anything else in the Australian market in my opinion.